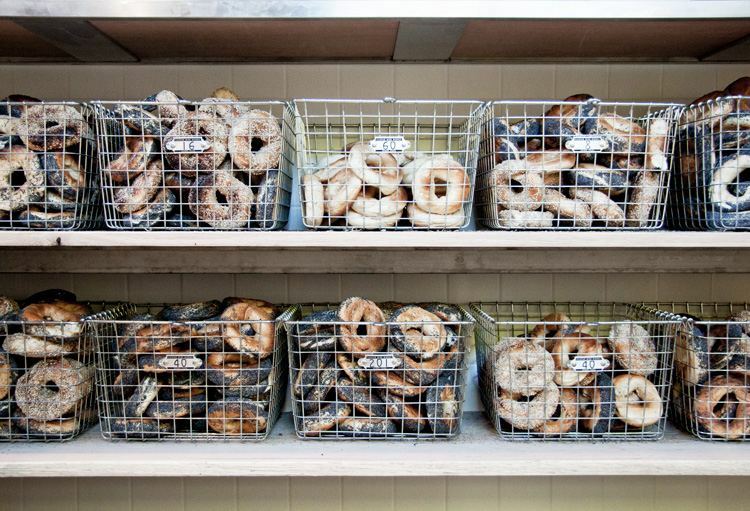 If you’ve ever felt crumby about lack of good bagels in Sydney, we’ve got news you knead to hear! 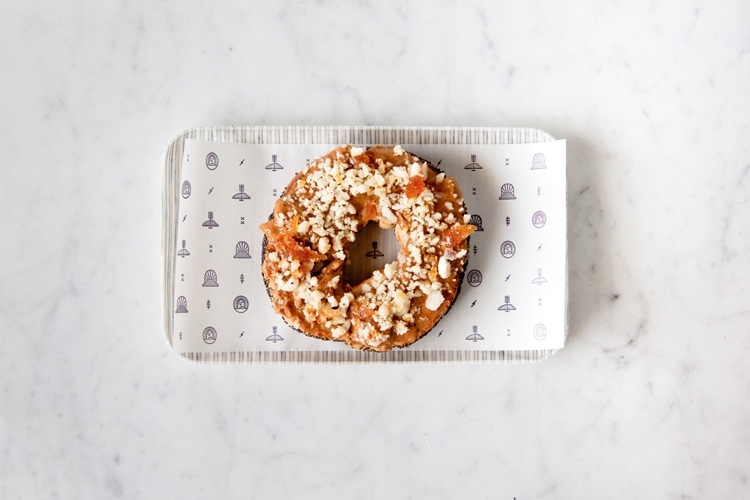 San Fransisco-trained bakers Mark Treviranus and Dave Young have just opened Smoking Gun Bagels in Woolloomooloo, and it’s set to make the Sydney foodie scene a hole lot more exciting! 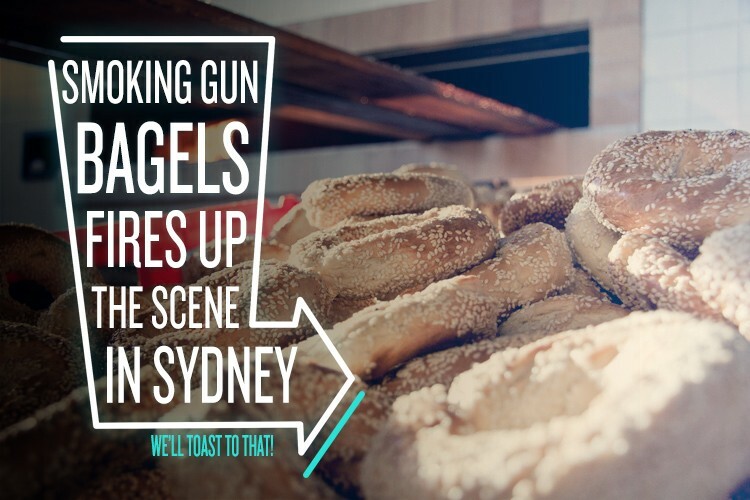 Smoking Gun is the first bagelry in Sydney to offer authentic Montreal-style bagels, which the boys make onsite in a purpose-built wood-fired oven. If you haven’t heard of them before, just trust us when we tell you they are the best thing to come out of Canada since Ryan Gosling. Crispy on the outside and chewy on the inside, you could say that they’re just all-round delicious. They will be served open, with a range of seasonal toppings. From the Yid Life Crisis, which features wood-fired chicken, avocado, and kaffir lime, to the Not So Salmon, with smoked trout and Pepe Saya cream cheese, there is something to tempt every tastebud. And we’ll toast to that! We sat down with Mark and Dave to learn more. Hi Mark and Dave, thanks for taking the time to talk to us. Can you tell us how you met and how you both got started in the food industry? Mark: I studied marketing at university and landed my first job for a coffee roaster in New Zealand. I spent 10 years in the coffee industry, and my last job was as general manager of Atomic Coffee Roasters in Auckland – which is where I met Dave. He was managing Caffe L’affare in Auckland and renting desk space at Atomic. What makes Montreal-style bagels different from standard bagels? Mark: They are hand rolled and wood fired. The bagels are smaller, sweeter, crunchy on the outside and chewy inside. Dave: As Mark said… that about sums it up. 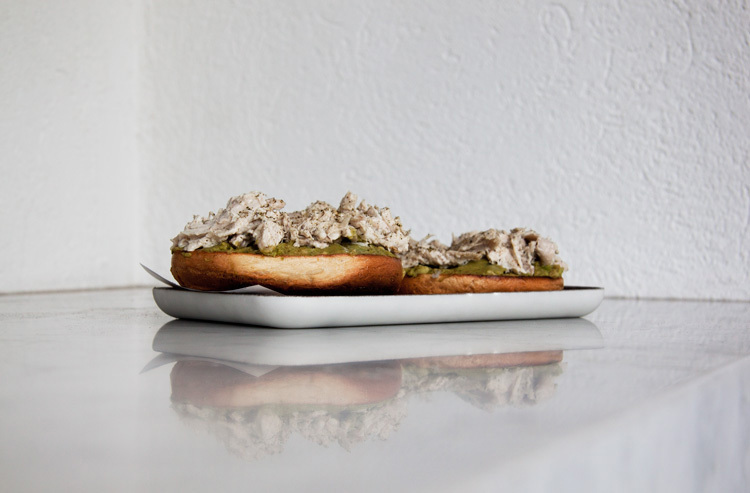 What’s your favourite bagel topping and spread combo? Mark: I have a sweet tooth so I love the Scone Wrong: house-made rosella & riberry jam with Pepe Saya cream cheese topped with pickled rosella and lemon myrtle. Dave: I’m the opposite of Mark – he’s got chocolate buttons on his desk. I like savoury, so if I was to have a bagel it would be pastrami and cabbage (known as a Champagne Papi on our menu). What goes into making a great bagel? Mark: Good quality ingredients to start, but mainly it’s the baker and his influence over the rolling and wood firing of the bagels. It’s a very hands-on process. Dave: As Mark said, it’s about quality ingredients and controlling the variables as best you can. We have to keep track of water temperature going in based on the load of dough we are making. Bakers know it as the friction ratio but it’s very important. 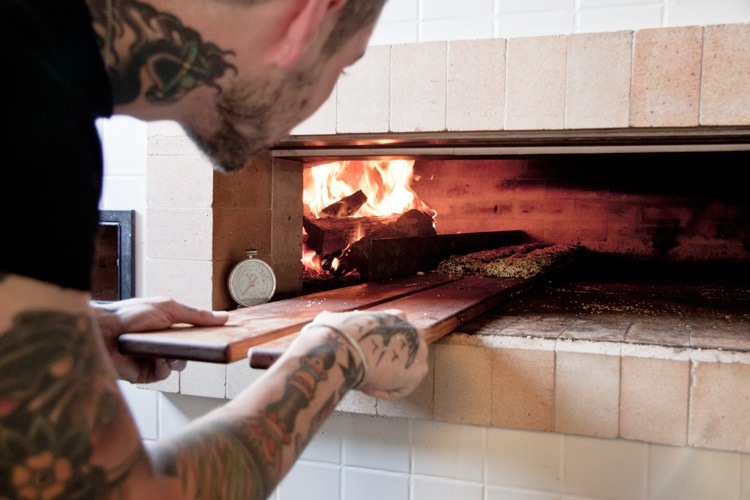 Also, the oven is wood-fired and manually kept at temperature, so it’s not like whacking it into a conventional oven that just sits at a constant heat. You’ve got a pretty sweet set-up with a purpose-built wood-fired bagel oven. Why is having a special oven so important? Mark: It’s about being 100% authentic to the Montreal-style bagel. You can’t bake bagels in a pizza oven and no one in Australia can build a bagel oven, which is why we flew out two Canadian stone masons to build our oven. Dave: Can’t really say it any better! As Mark said, do it well, do it right. Why are bagels better than your average sandwich? Mark: Everything tastes better on a bagel. Dave: I think they just have more going on than a bit of plain bread – more texture. They hold toppings better without going all soggy, and you’re guaranteed to have your bread-to-topping ratio on point. At least with us you are! I think some bagels end up having half the amount of topping when they are made into a sandwich and served takeaway, which feels a bit off. It’s one of the reasons we serve open. When you’re not enjoying all your own amazing creations, where do you like to go for a great meal? Mark: I live in Redfern so my favourite local spots are Scouts Honour or Three Williams for breakfast, Redfern Continental for dinner or Yens Vietnamese for a cheap meal. 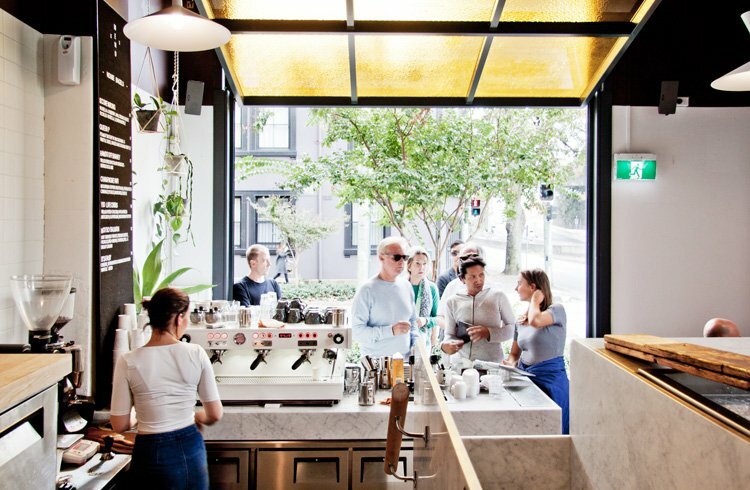 Dave: If I was wanting to go out for dinner I’d probably head to Bodega in Surry Hills – I just like the food and the vibe. Master is also a good time, and for breakfast I’d go to Reuben Hills. 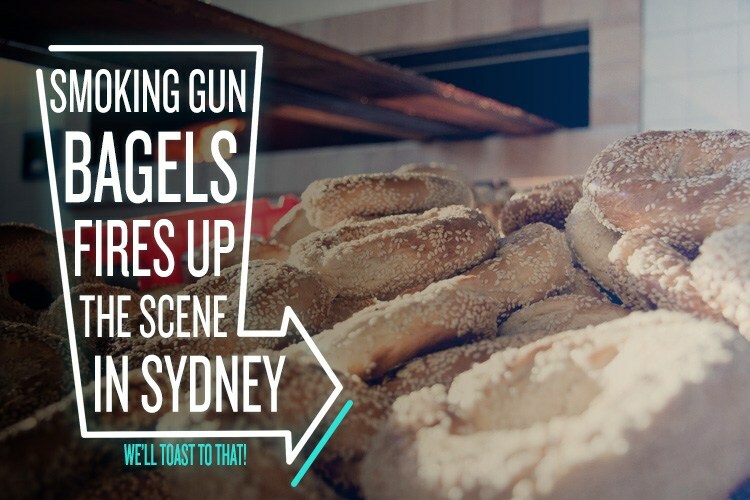 Smoking Gun Bagels can be found at 129 Cathedral St, Woolloomooloo. Follow the team on Instagram for delicious updates!